What Are Pregnancy Risks Of Living Near Fracking Wells? 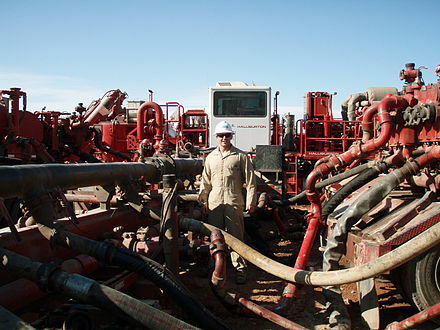 Dr. Casey: ​Eighteen percent of global gas production now comes from unconventional sources. Pennsylvania, in particular, has seen huge increases in unconventional natural gas development (i.e., “fracking”) over the past decade. In 2006, there were fewer than 100 unconventional wells, by 2013, there were over 7,000. Developing a single unconventional well takes hundreds to thousands of diesel truck trips to bring in materials, millions of gallons of water mixed with chemicals and sand, and hydraulic fracturing and production, which can release air pollutants and create noise and other community disturbances. We evaluated whether exposure to unconventional natural gas development activity in Pennsylvania was associated with adverse birth outcomes in those living nearby. Mothers who lived near active natural gas wells operated by the fracking industry in Pennsylvania were at an increased risk for preterm birth and for having a high-risk pregnancy. Dr. Casey: ​Preterm birth remains a problem in the United States. The U.S. Centers for Disease Control and Prevention reported that preterm-related causes of death accounted for 35% of all infant deaths in 2010. Additionally, preterm birth is a leading cause of long-term neurological disabilities in children. While the current study was unable to pinpoint why pregnant women living near unconventional natural gas development had adverse outcomes, potential factors include increased air pollution, noise, or stress in the expectant mothers. Dr. Casey: Future research must begin to disentangle the pathways by which unconventional natural gas development impacts health. Important steps include taking environmental samples near where mothers live and understanding stress pathways in the mother. While there are still few health studies in communities located near unconventional natural gas development, policy makers must take findings like those in the present study under consideration when making future decisions regarding energy production in the United States. Joan A. Casey, David A. Savitz, Sara G. Rasmussen, Elizabeth L. Ogburn, Jonathan Pollak, Dione G. Mercer, Brian S. Schwartz. Unconventional Natural Gas Development and Birth Outcomes in Pennsylvania, USA. 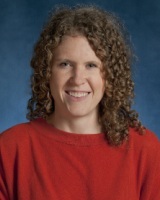 Joan A. Casey, PhD, MA (2015). What Are Pregnancy Risks Of Living Near Fracking Wells? This entry was posted in Author Interviews, OBGYNE, Toxin Research and tagged fracking, pregnancy by Marie Benz MD FAAD. Bookmark the permalink.